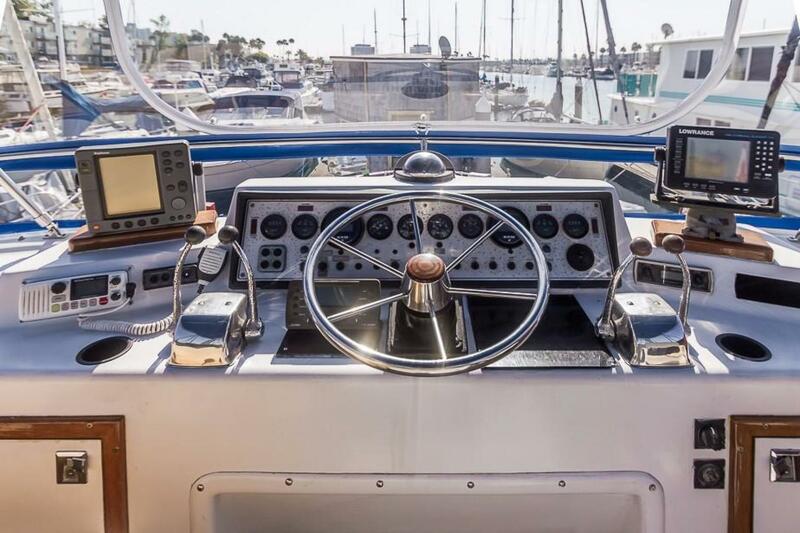 This is a classic ’42 Chris Craft Catalina 426 yacht. 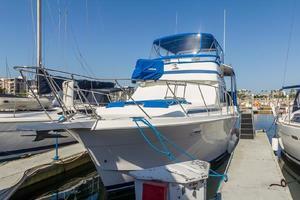 Pride of ownership is evident throughout. 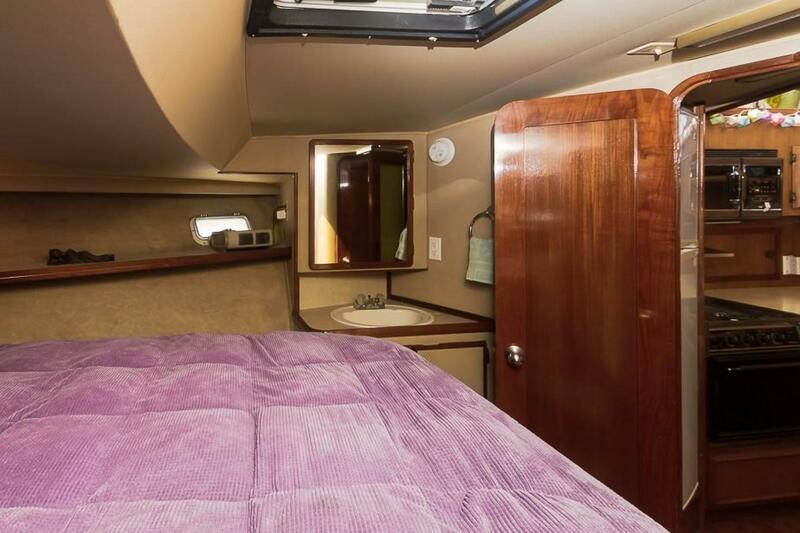 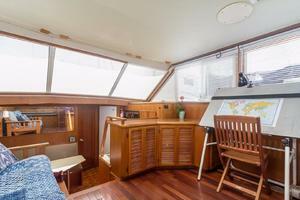 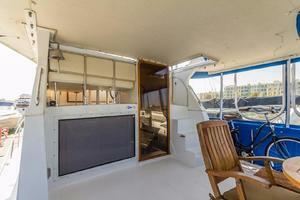 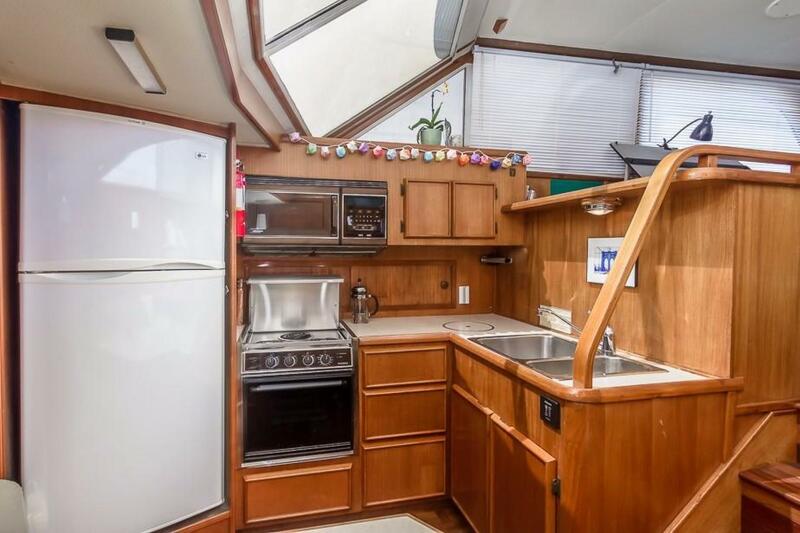 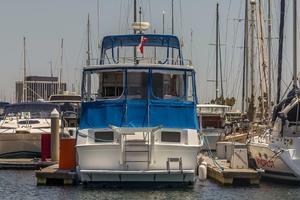 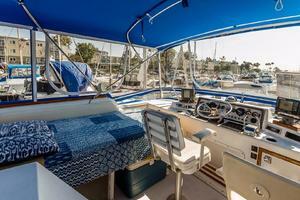 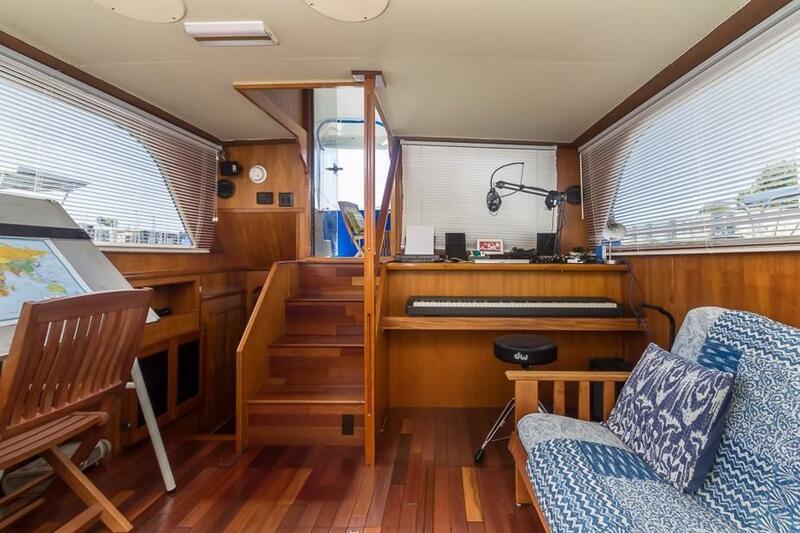 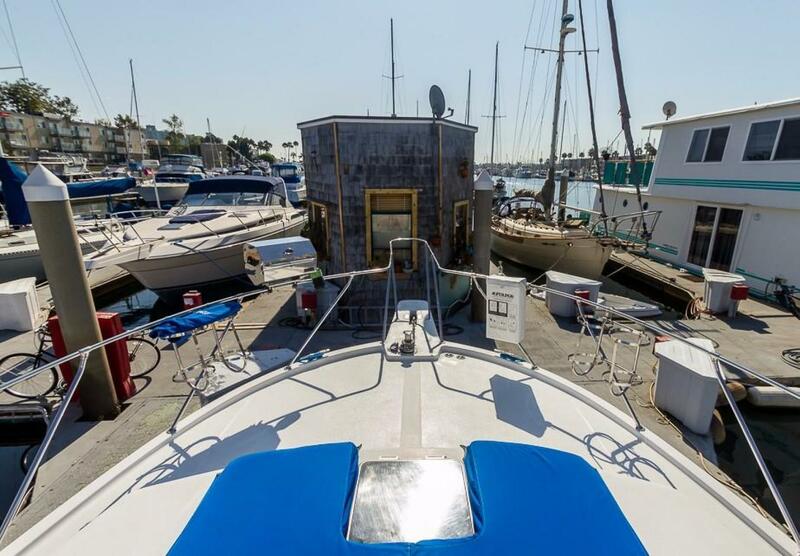 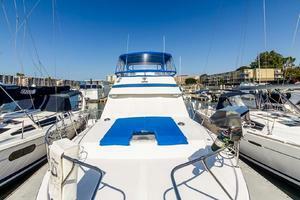 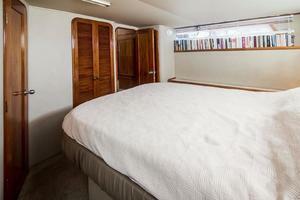 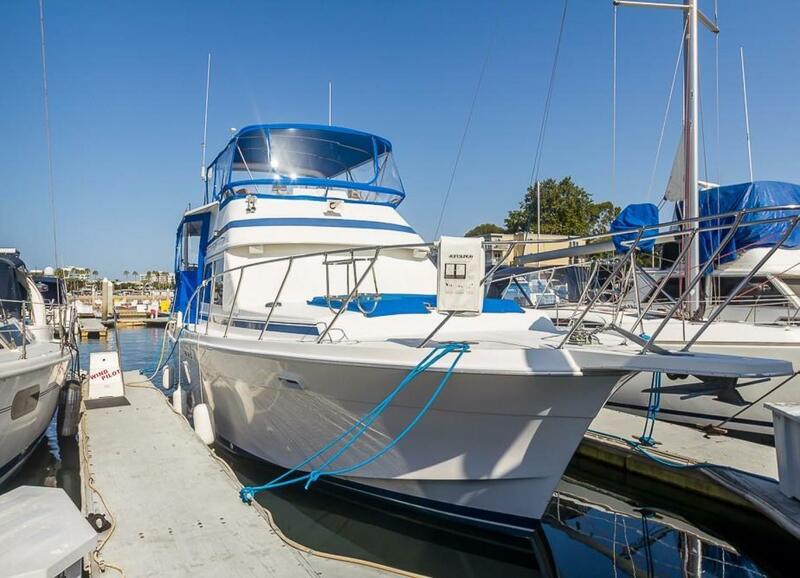 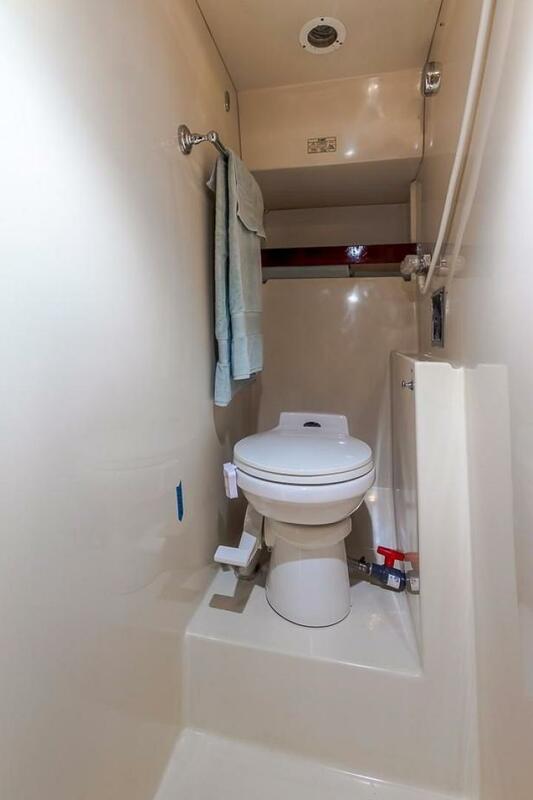 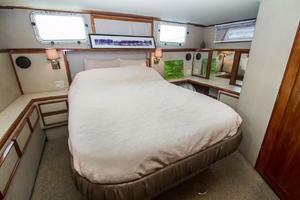 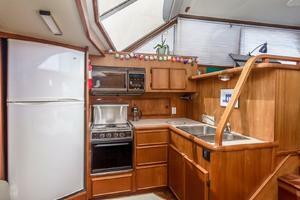 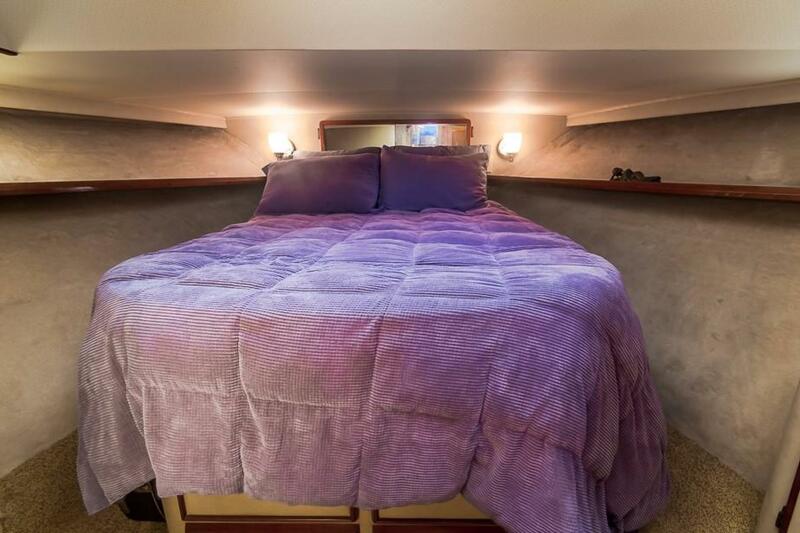 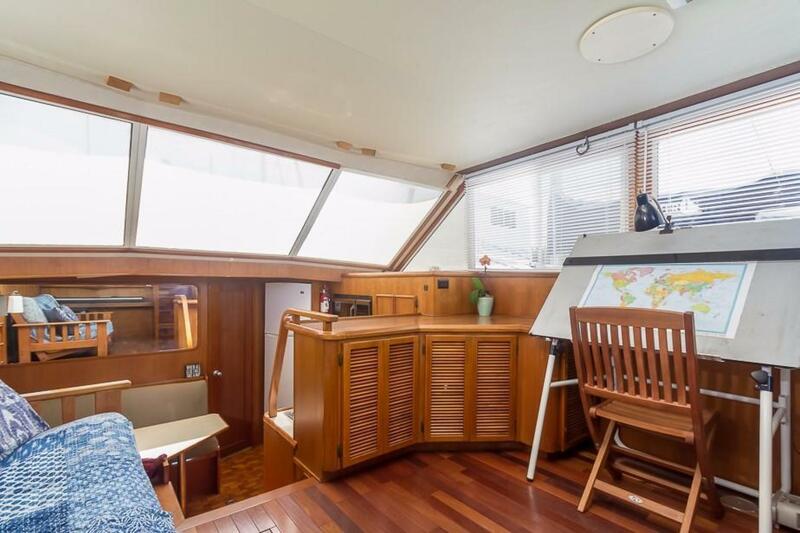 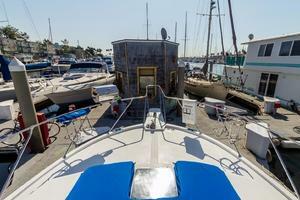 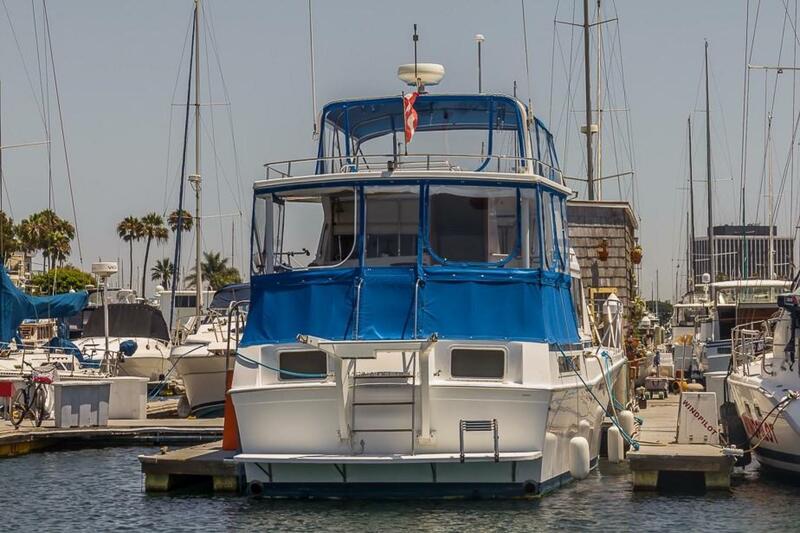 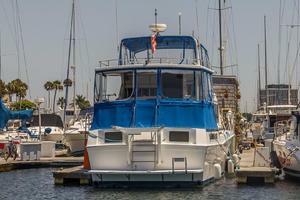 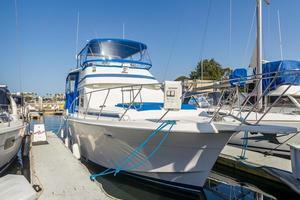 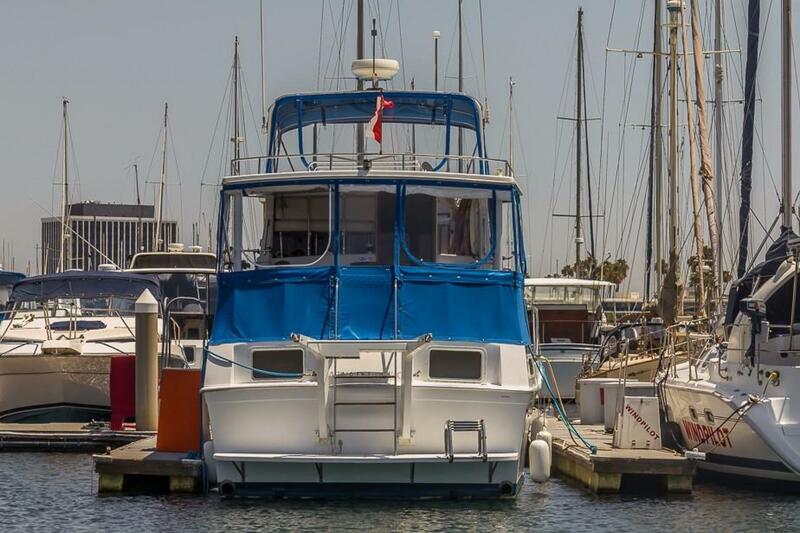 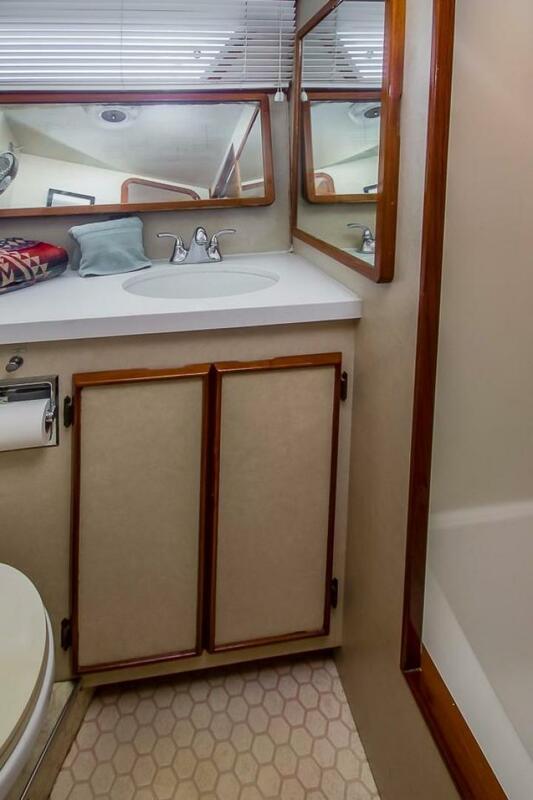 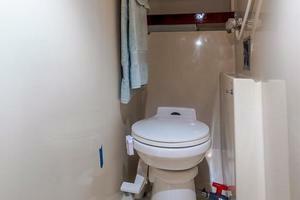 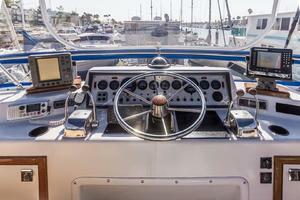 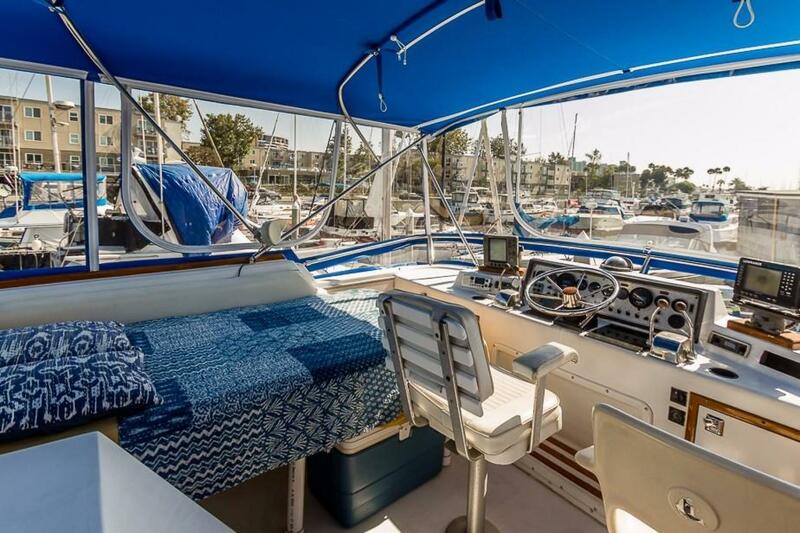 A very spacious 42, she is ideal for live-aboard and cruising both. 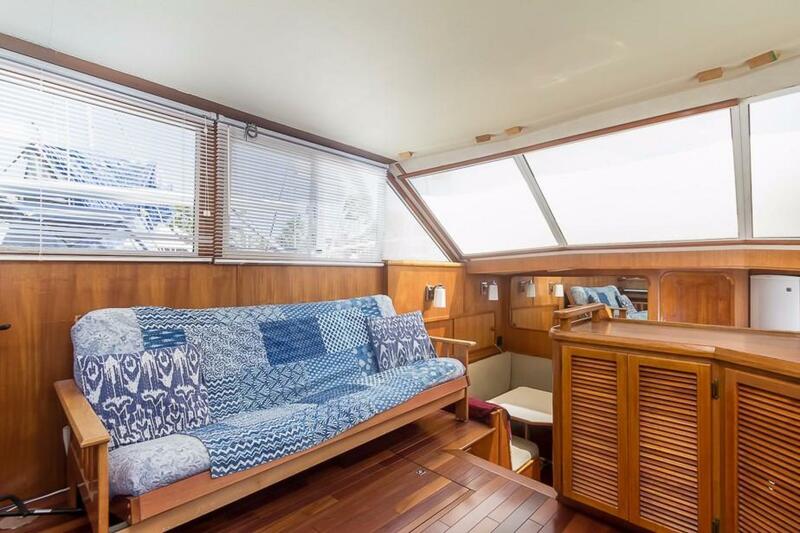 Beautiful Chinese cherrywood hardwood flooring gives the salon a sophisticated feel, and the white wooden louvered blinds allow careful adjustment for glare and privacy. 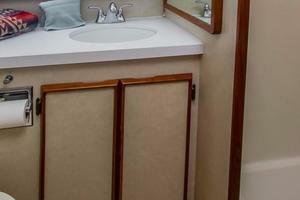 The beautiful original teak doors and trim throughout display excellent old-school craftsmanship and finishing. 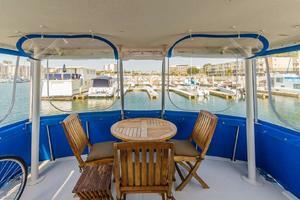 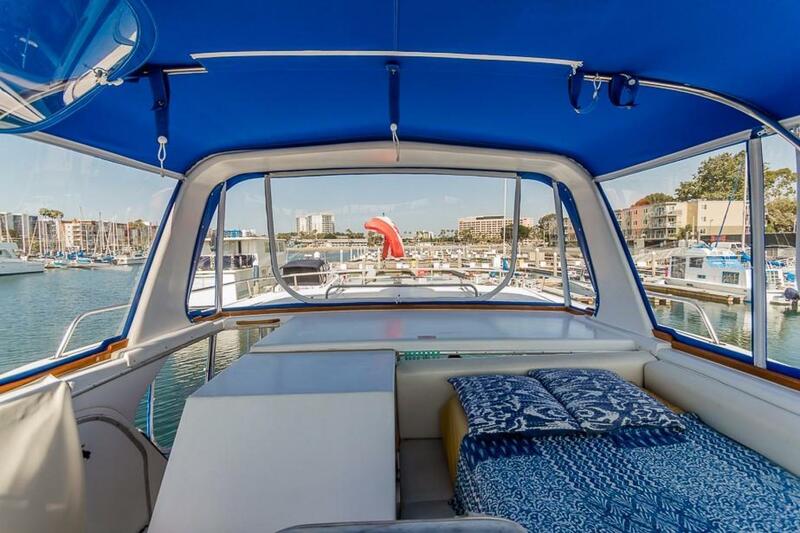 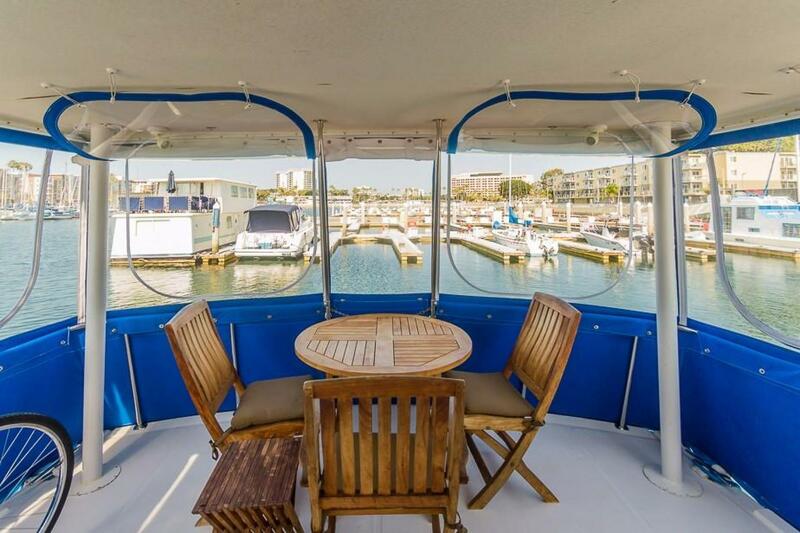 New custom Pacific-blue canvas sports rigid 40 mm Lexan swing-up windows, giving the entire vessel a near-new look and affording unhampered 360-degree views. 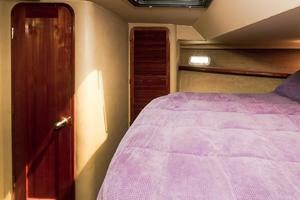 Full island centerline queen berths fore and aft allow for ample relaxation and restorative sleep. A day-bed in the upper deck adjacent to the captain’s chair affords great siestas and even better views, especially a night under the stars, which along with a stand-alone futon bed/sleeper (included) in the salon adds to the overall sleeping accommodations. 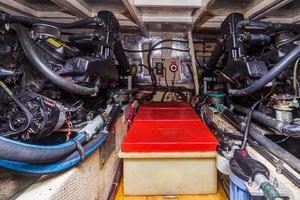 The twin Crusader/Panter 454 gas engines offer 330hp apiece and have been meticulously maintained by a local marine mechanic. 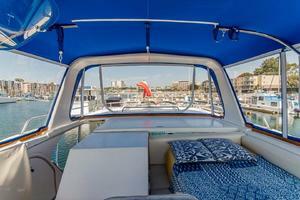 Finally, the sturdy fiberglass hull construction makes for smooth, solid cruising and a sturdy ride. 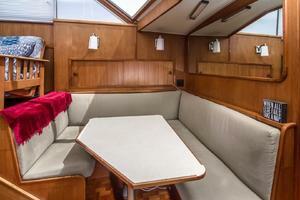 All and all, a solid and accommodating vessel for the discerning cruising sailor and liveaboard.